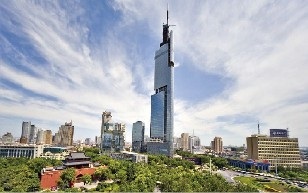 Business Tianjin Magazine - Magazine TECH: Sky City: A New Future or Head in the Clouds? TECH: Sky City: A New Future or Head in the Clouds? Broad Sustainable Building Co. Ltd. (BSB), a subsidiary of BROAD Group based in Changsha, the capital city of Hunan province, has been making headlines for their ability to apply the principles of mass production of buildings in a way that has never been done before. Besides being able to erect buildings at a lightning pace, their methods are extremely energy efficient and inexpensive. Their focus is completely on manufacturing efficiencies and mass production using repetitive elements. This focus on engineering and manufacturing has lead to designs that have not been the most pleasing to the eyes. "It looks like something a four-year-old designed with cereal boxes "commented George Dvorsky, a writer for io9, on one of BSB’s projects. While this may be a bit harsh, you can't ignore this company's track record. Which includes building a 30 story hotel in just 15 days, a 15 story hotel in just 48 hours, and a 6 story dormitory in just 5 days. The way they have been able to build at such a mind boggling speed is by building prefabricated pieces off-site, and assembling the pieces on-site. Think of it as putting together a giant Lego model. BSB's latest ambitious project is truly head-turning. Last year they announced plans to build the tallest building in the world in Changsha in only 90 days (That right, 90 days!!!). Originally scheduled to begin construction in November 2012, BSB has been waiting for government approval, which has still not been granted, due to concerns over safety, congestion, and environmental impact. If it is approved and constructed, Sky City will stand at 838 metres (2,749 feet) tall; 10 metres taller than the Burj Khalifa in Dubai, currently the tallest building in the world. The cost to build Sky City is estimated at USD 620 million and will take just 90 days to be built (critics say that this is a dream and that it will more likely take closer to 210 days to complete the project). Meanwhile, the Burj Khalifa took 5 years to build and cost over USD 1.5 billion. Sky City will be a 220-storey tower with 104 elevators, and the first stage of the project is designed to house over 30,000 residents. The building will also include office space, a school, restaurants, shops, a hotel, and even a hospital. China has long been faced with challenges resulting from mass urbanisation that is unlike any other in human history. In the past 15 years, over 300 million people, the entire population of the USA, have moved from the countryside to urban areas in search of higher wages and better opportunities. Approximately 179,000 Chinese people are moving from the countryside every week. Chinese cities have swelled with construction cranes, infrastructure projects, and traffic jams at a dizzying pace. Right now, about 53% of the Chinese population lives in urban areas, and this number is expected to increase to 75% by 2025. Architect Xian Min Zhang of Broad in Rio de Janeiro believes that BSB can offer a solution to some of China's urbanisation challenges. He feels that Sky City is a model for the future of urbanisation in China and perhaps the world. "China cannot pursue the American or European lifestyle, it cannot afford it: work somewhere and live somewhere else, using cars and roads to connect" said Mr. Xian. In Beijing, the average commute time has reached four hours, while in Shanghai it is approaching three hours. Cities in China are becoming more densely populated by the day and over populated, affecting the quality of city dwellers’ lives. Having these common spaces within the building will help to create a blueprint for how to create urban areas that won't rely so heavily on infrastructure systems, which are already running at full capacity. Sky City can do this, while at the same time implementing and promoting efficient green technologies such as advanced air and water filtration systems, 15 cm insulated walls, quadruple glazing, and using recycled building materials. 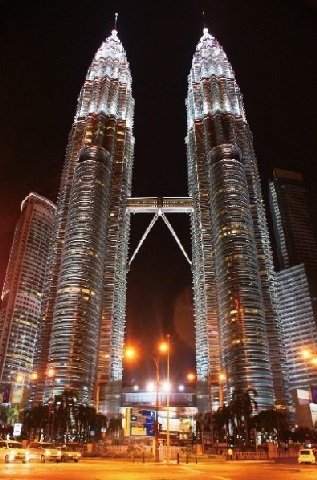 The tallest building in the world was expected to be completed in March of 2013. However, BSB has still not broken ground on the project as they are still waiting for the government to give its final approval. BSB has already acquired the land for CNY 389 million (USD 62 million) and is currently arguing its case to the regulators. Local experts are concerned about traffic congestion within and around the building, especially in the case of an emergency. In the case of a fire, there might not be enough support to douse the fire or evacuate the people, and if there is a medical emergency such as a heart attack, critics say that the elevators might be too slow to get the victim to the hospital in time. Another issue that critics have pointed out in the blueprint is that it overlooks wind factors. Such a tall and wide building needs to be able to deal with large horizontal forces. The design of Sky City, critics argue, may lack enough stiffness, making the building susceptible to swaying due to wind forces, and would be potentially unstable. BSB has also been criticised because they don't have many projects under their belt. They have only completed a handful of projects, none of which have exceeded 30 floors. Some critics don't even believe that this is a real project and is just a marketing ploy. 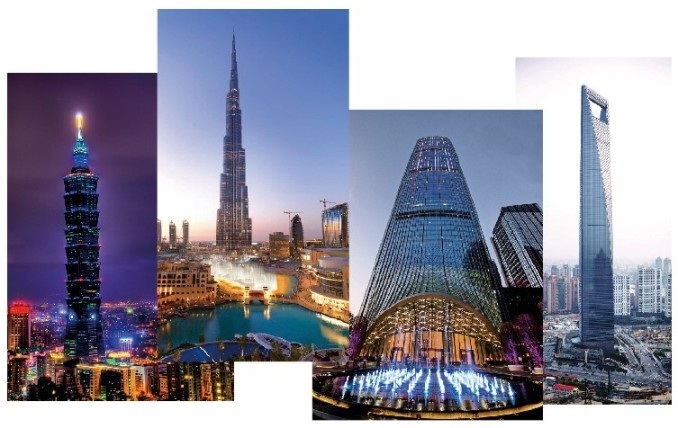 The head of structures for WSP Middle East (the company responsible for the Shard in London), Bart Leclercq, jokingly said "If they manage to build this structure in three months then I will give up structural engineering. I will hang my hat and retire. I will be eating humble pie as well." Gordan Chang, a contributor for Forbes, believes that the project is real and will eventually get the green light from the government. He also believes that Sky City could receive substantial financing from the state banks based on the central government's emphasis on developing central China.The China Daily highlighted this point in an article promoting the Expo Central China 2012 in Changsha, stating that "the development of central China will be a pillar of the nation's economic growth amid the slowly recovering global economy and China's cooling GDP expansion." In the meantime, we will continue to have to wait and see whether or not BSB can in fact live up to its bold claim to build the tallest building in the world in a mere 3 months, while at the same time changing the way we think about buildings and urban areas.